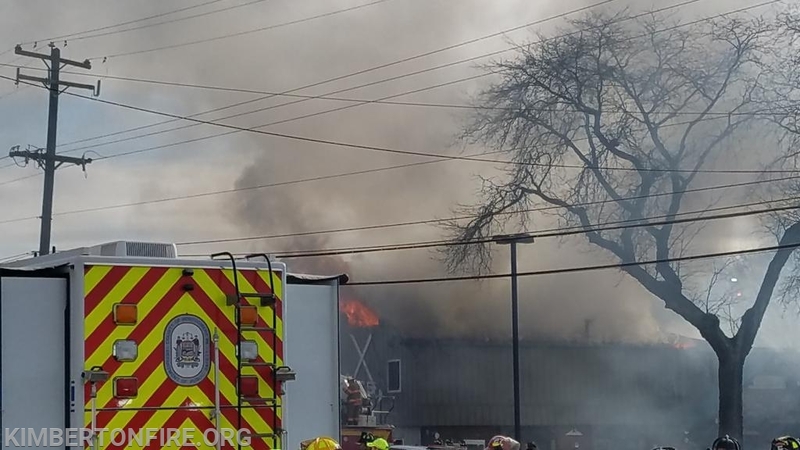 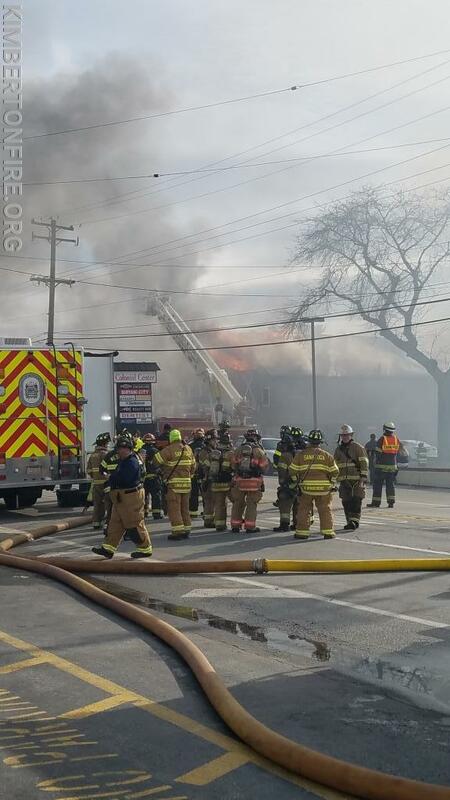 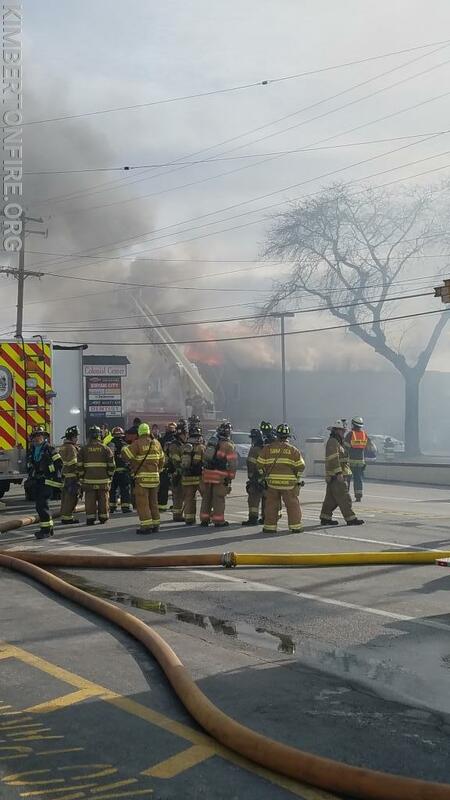 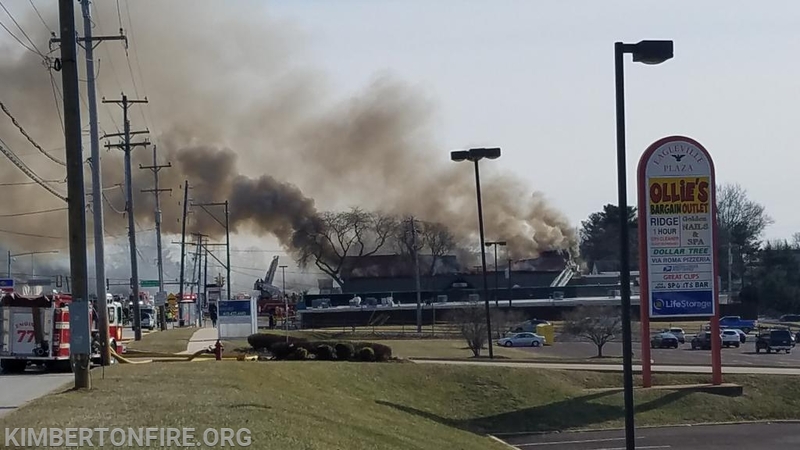 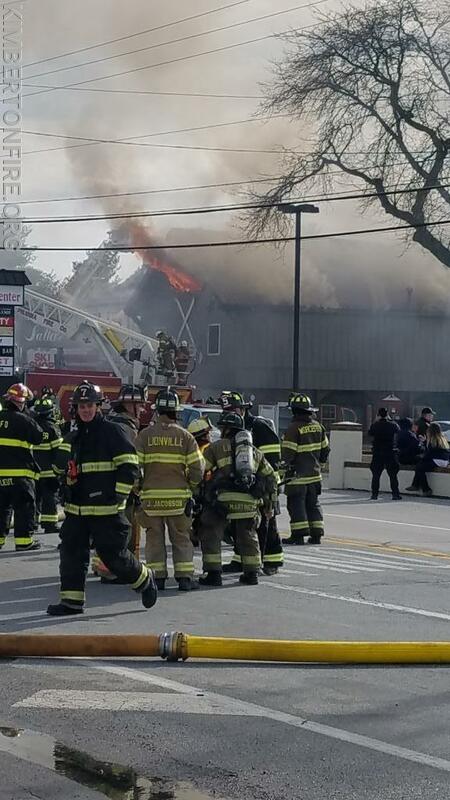 Firefighters battle blaze at Ski shop in Lower Providence Twp. 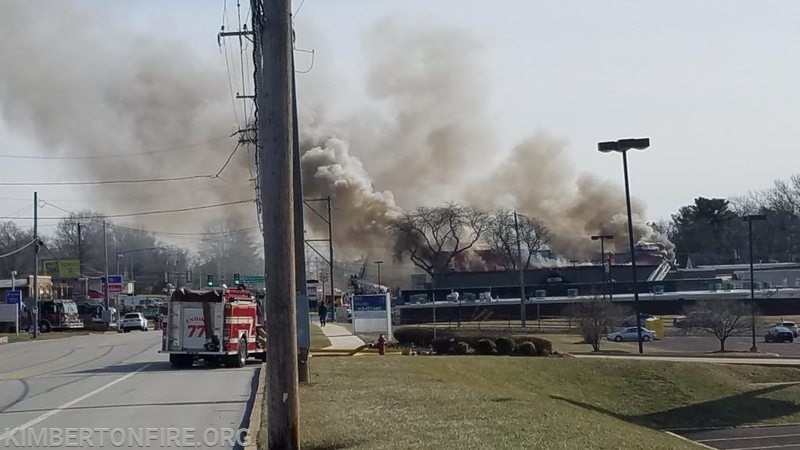 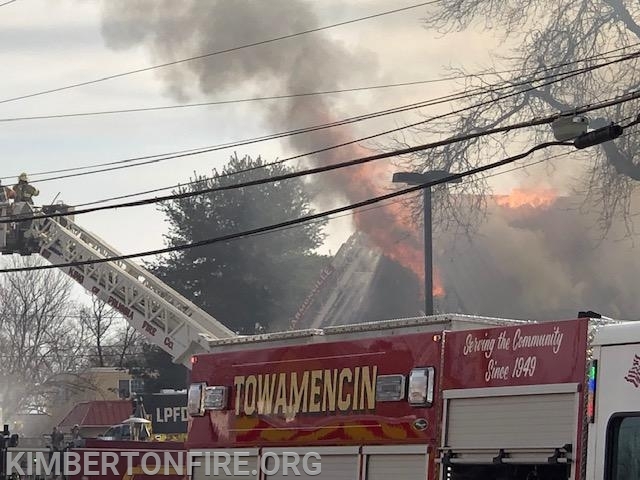 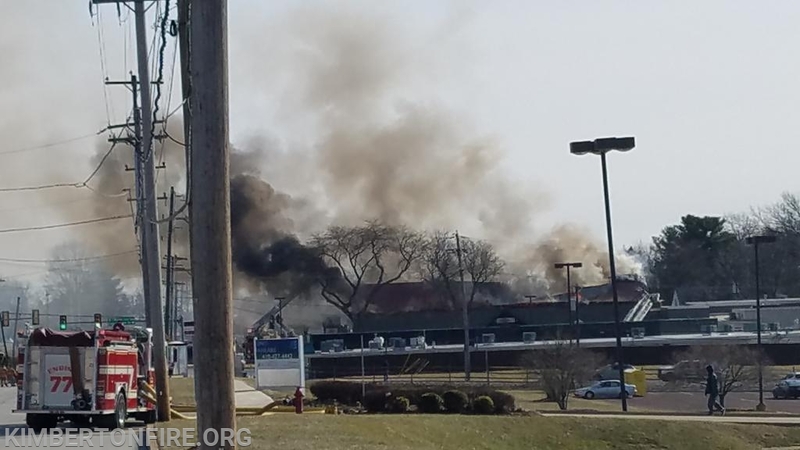 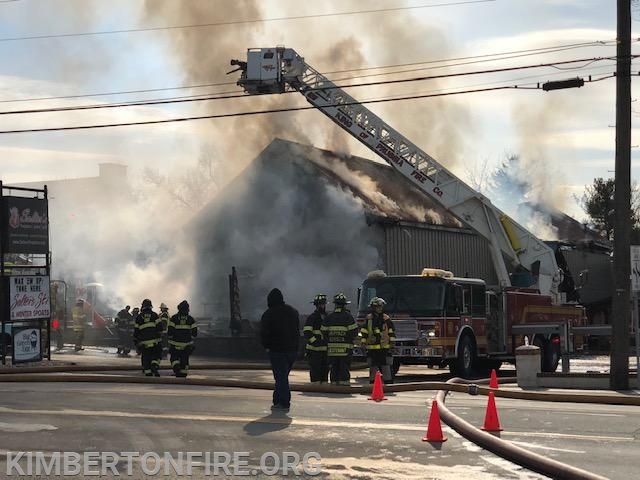 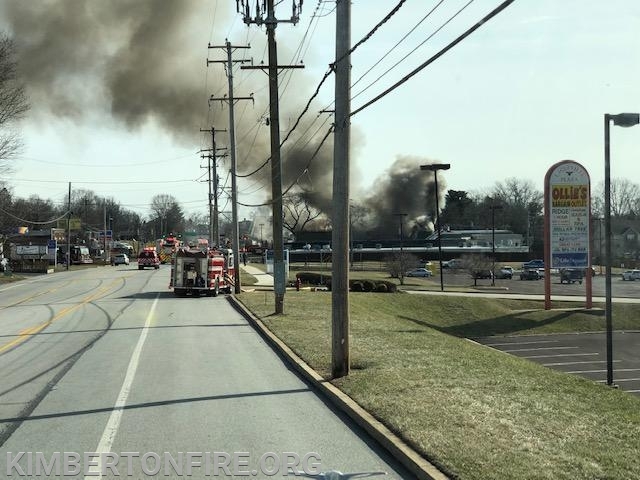 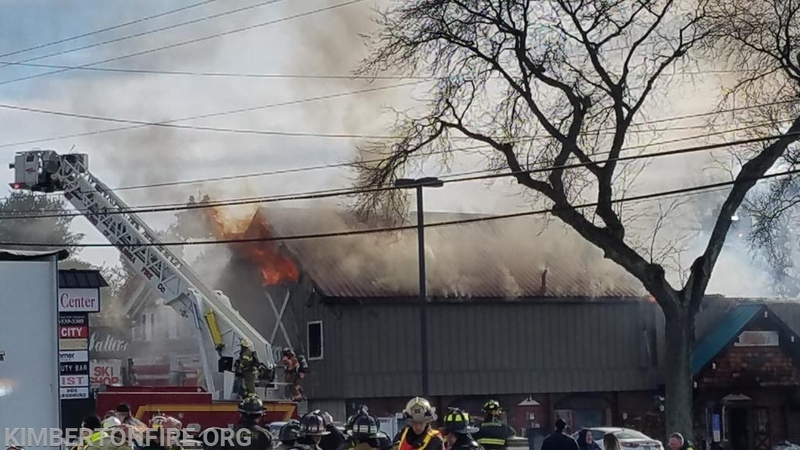 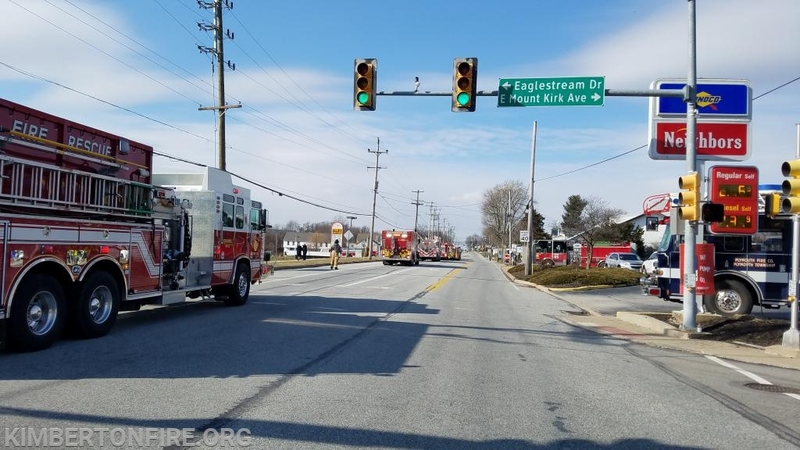 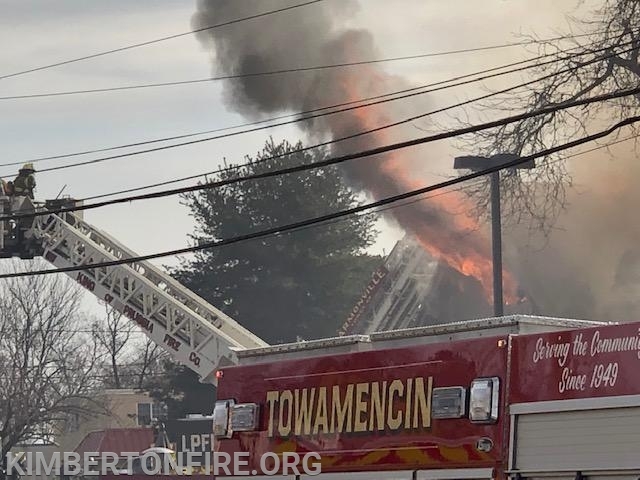 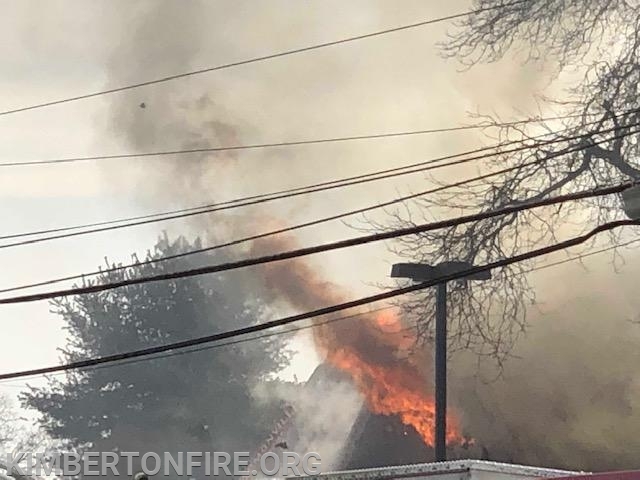 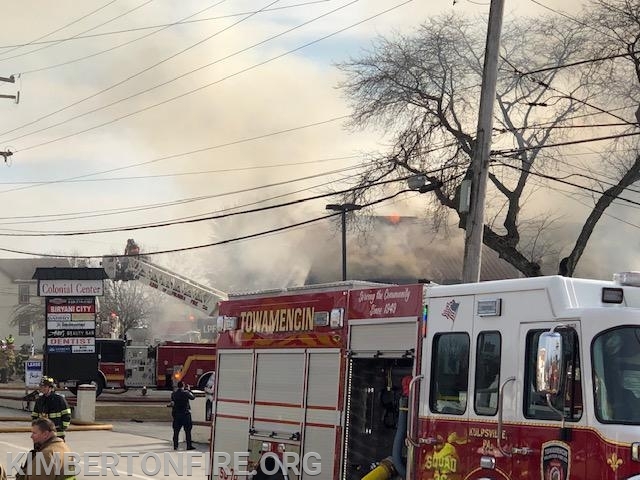 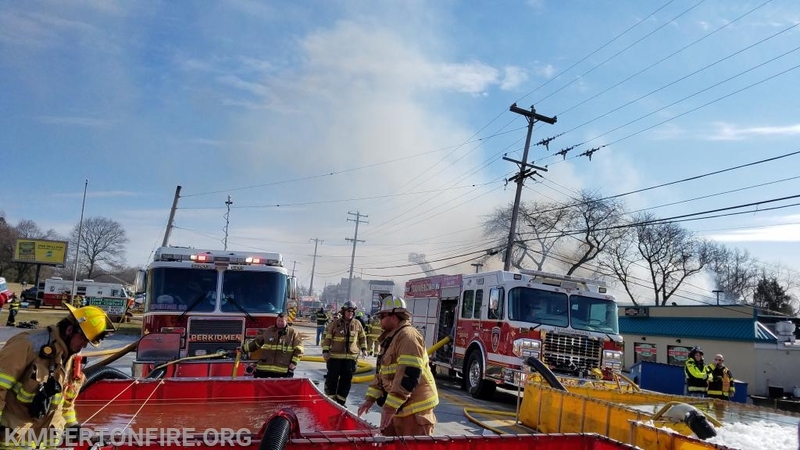 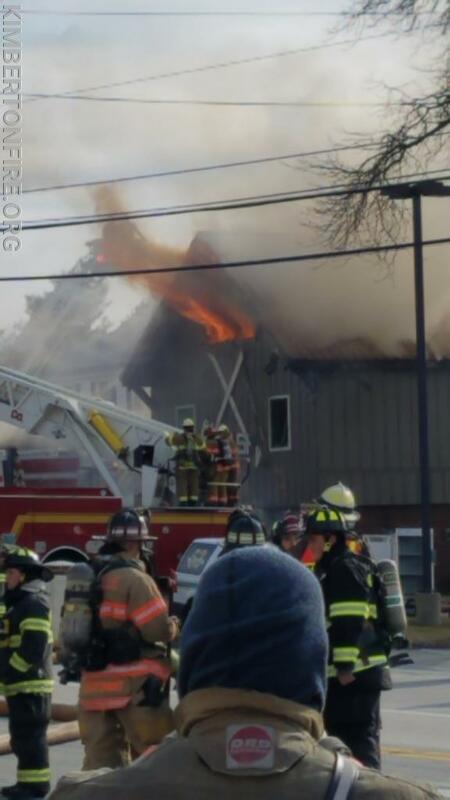 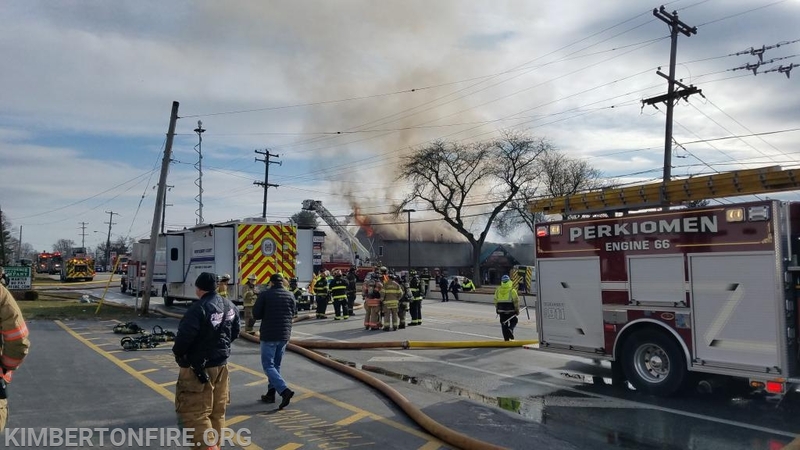 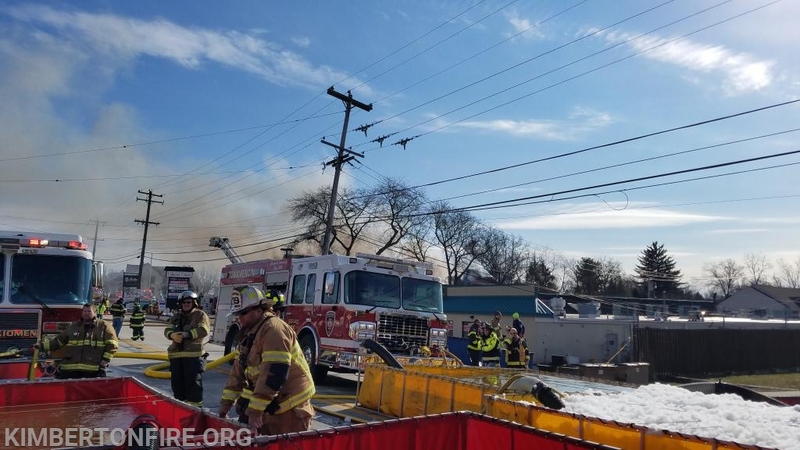 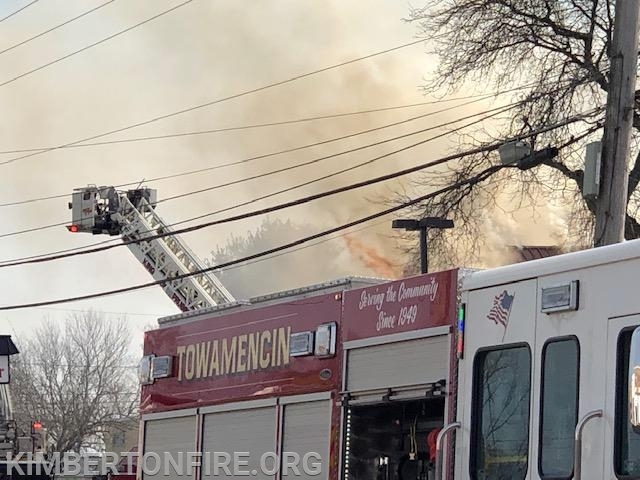 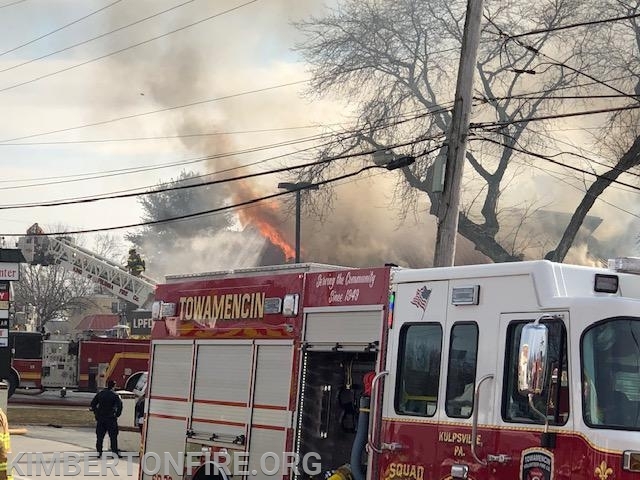 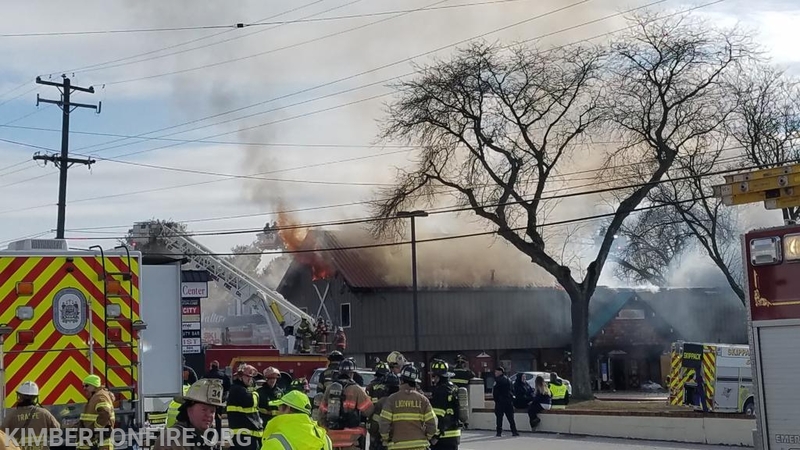 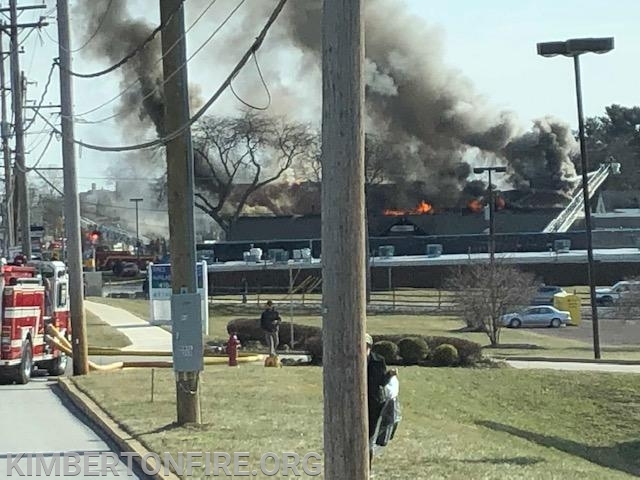 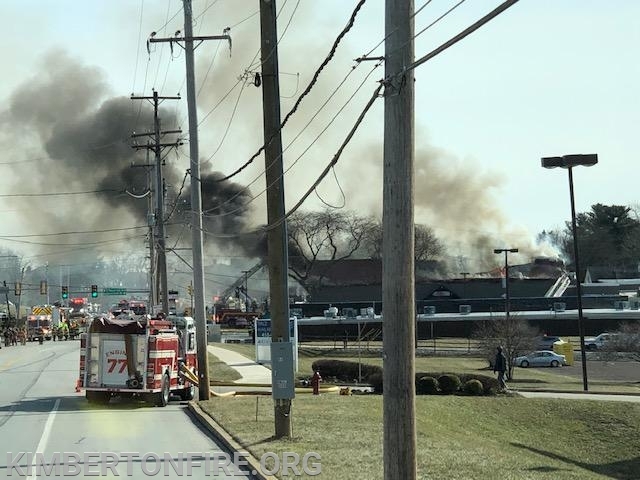 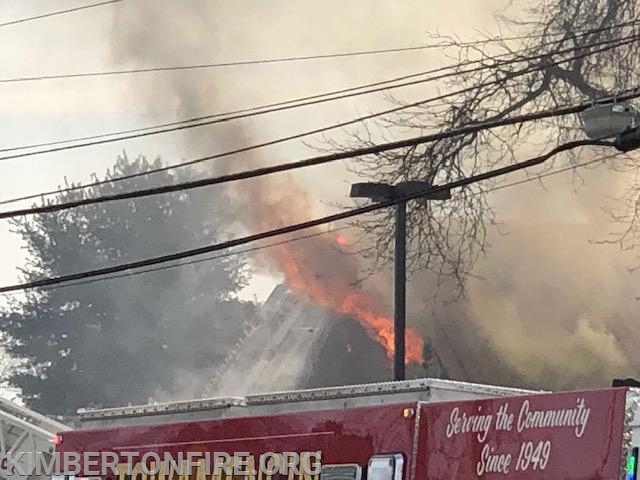 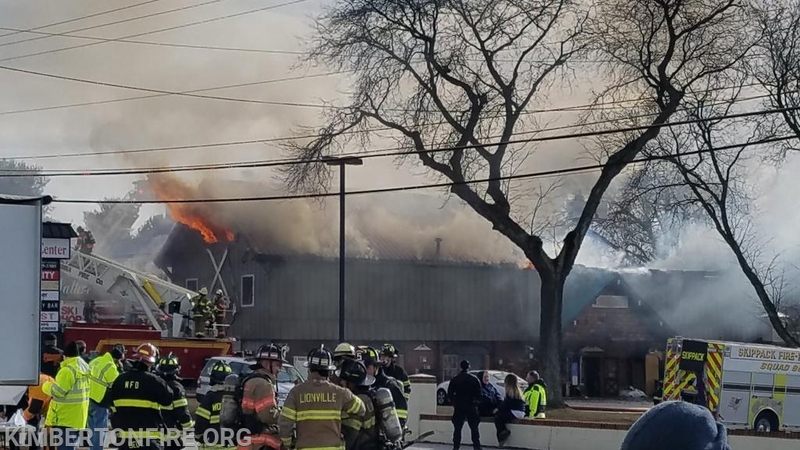 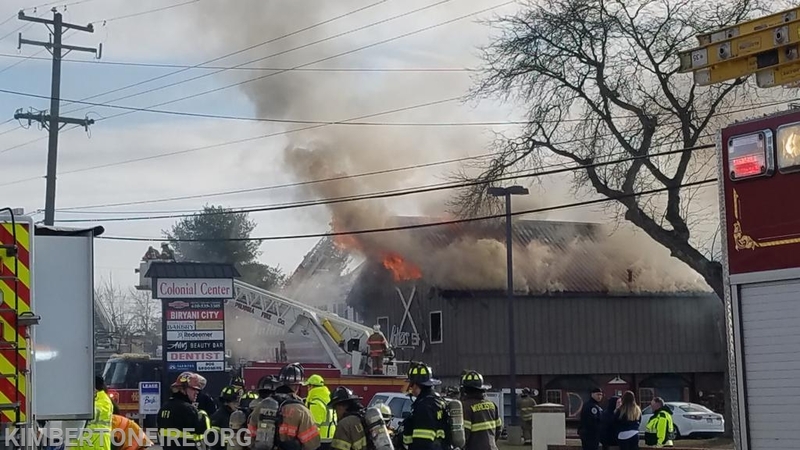 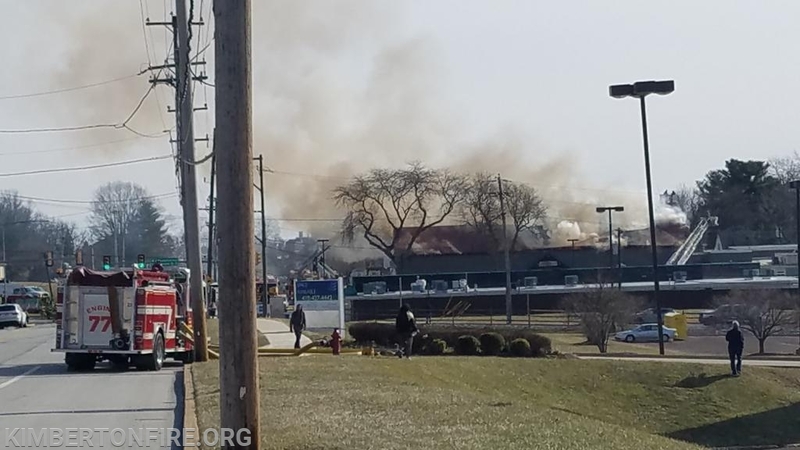 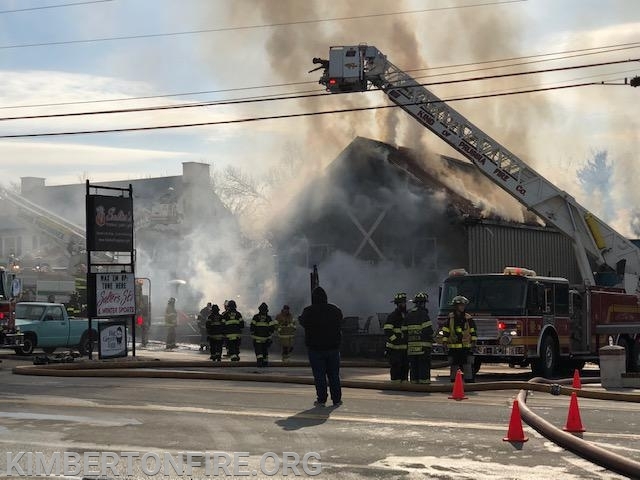 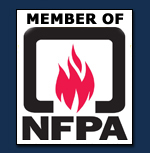 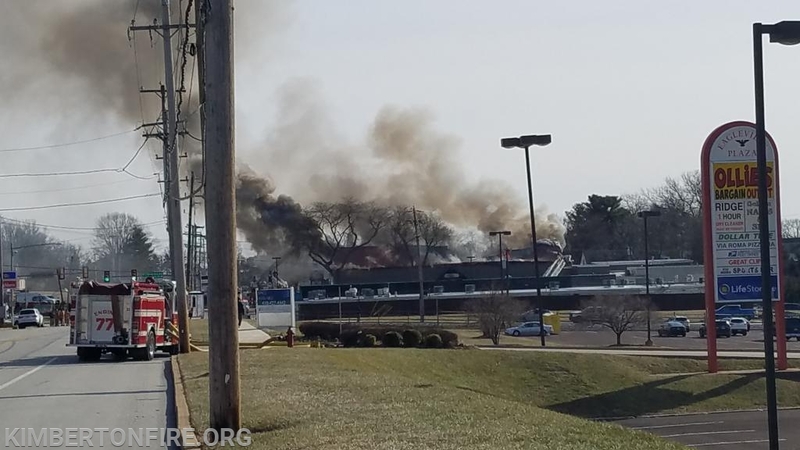 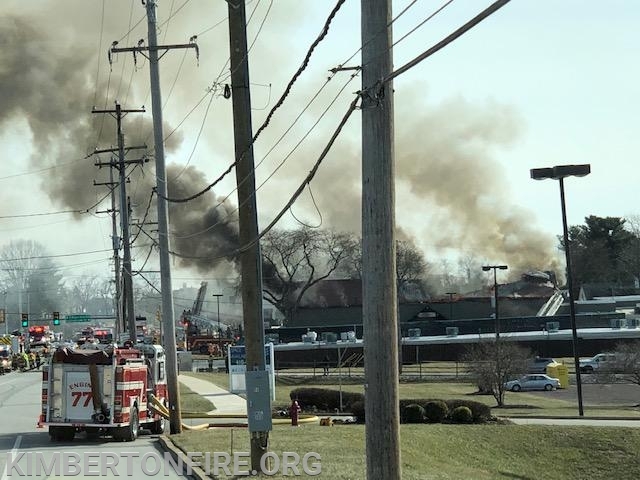 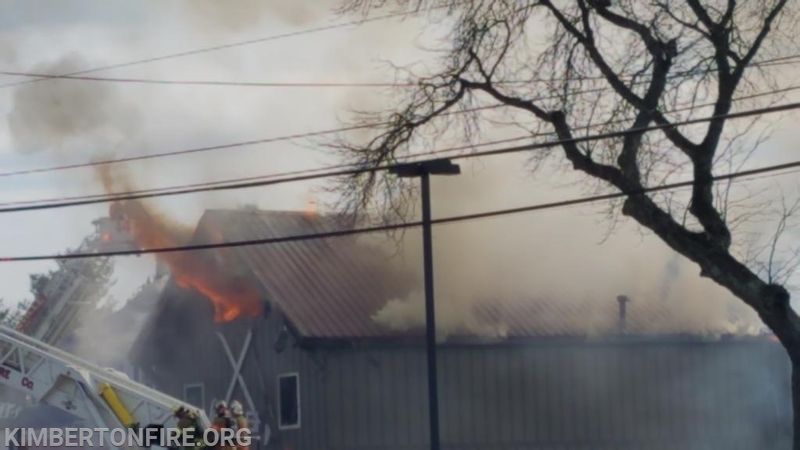 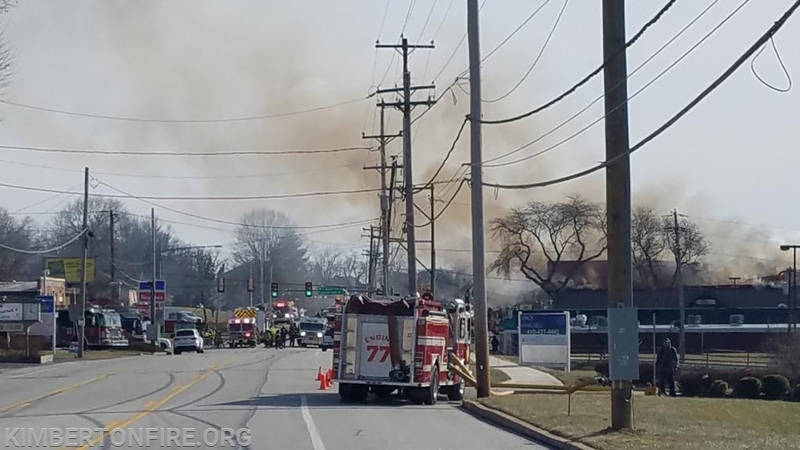 At 11:40 am on Jan 26th Kimberton fire company along with East Whiteland, Lionville, Malvern, Paoli along with companies from Berks and Bucks county were dispatched to assisted the Lower Providence Fire Co. on a multi alarm fire at a Ski Shop in Lower Providence Twp. 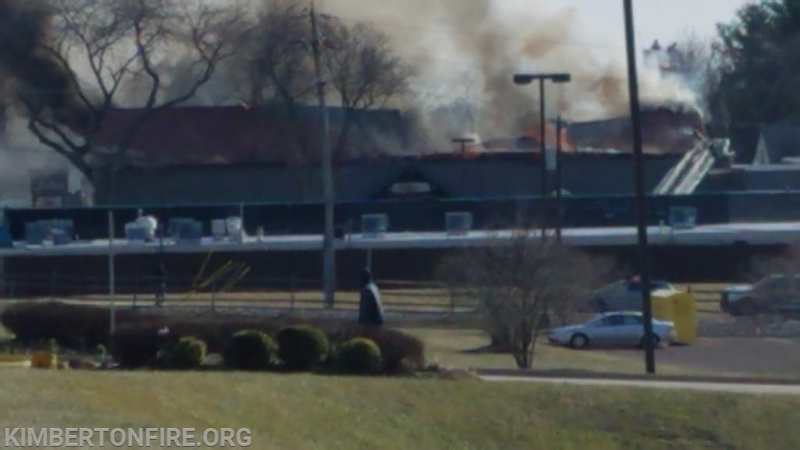 along Ridge Pike. 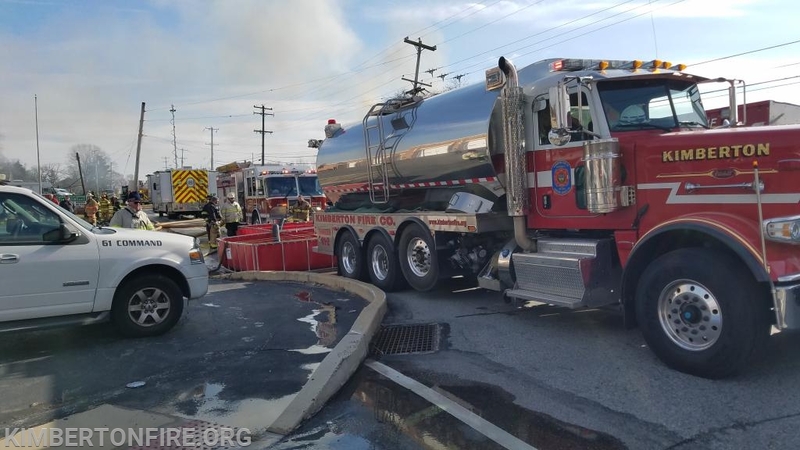 The demand for water taxed the public water system and 15 tankers where dispatched to the scene to shuttle water from neighboring communities to supply water while the public water system had a chance to refill their holding tanks. 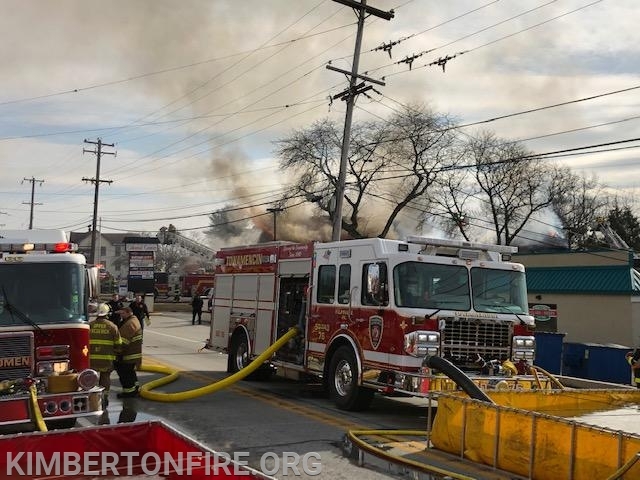 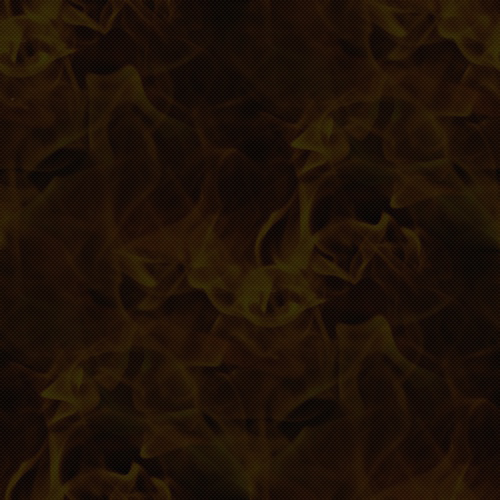 Kimberton responded quickly and remained on the scene for approx. 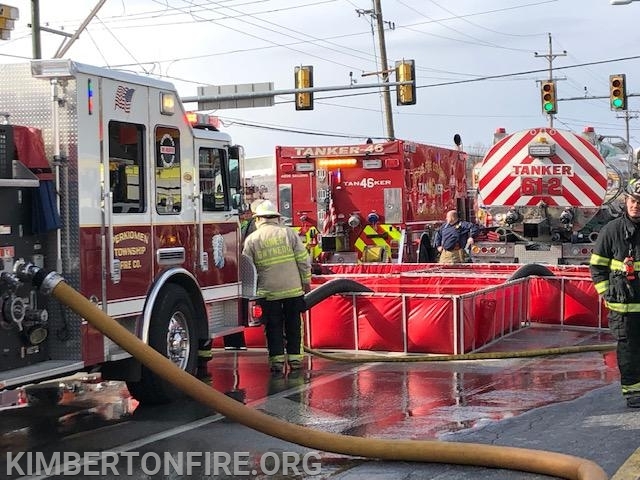 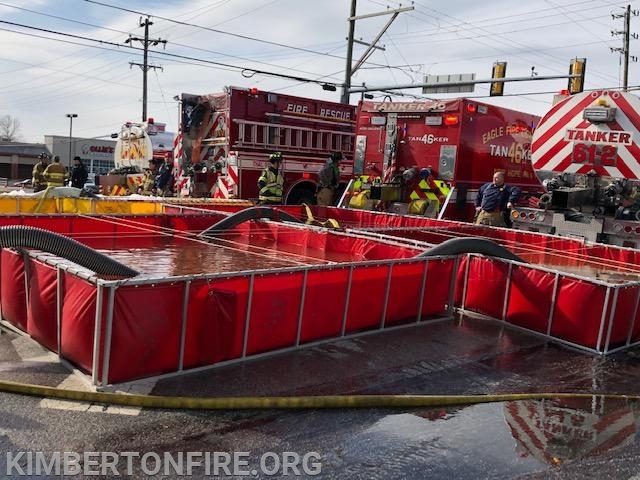 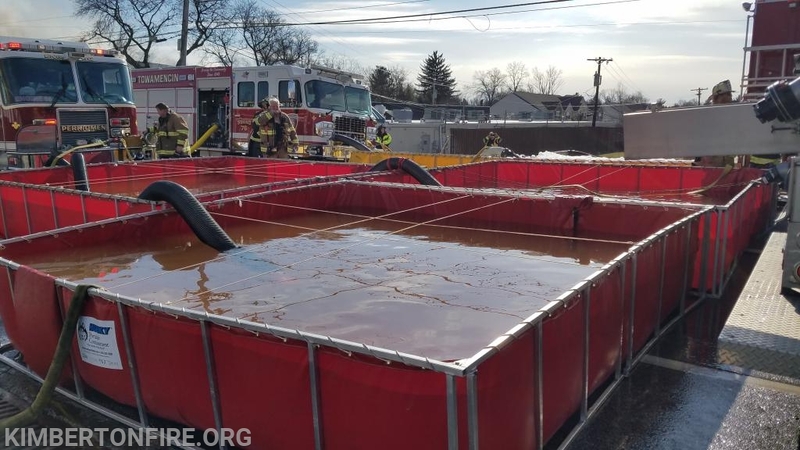 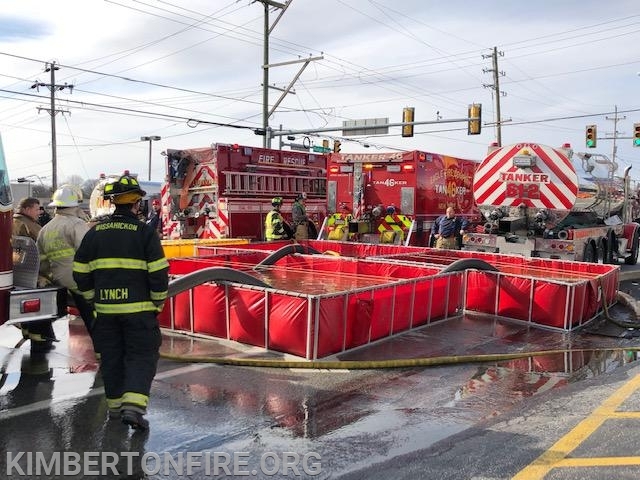 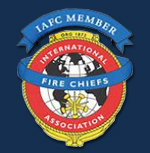 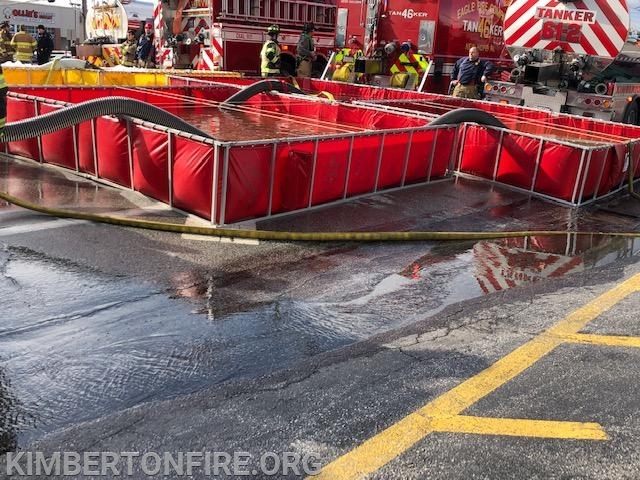 4 1/2 hrs shuttling water to numerous portable water tanks as 4 tankers where able to dump their water at the same time to keep a constant water supply to the crews on scene.